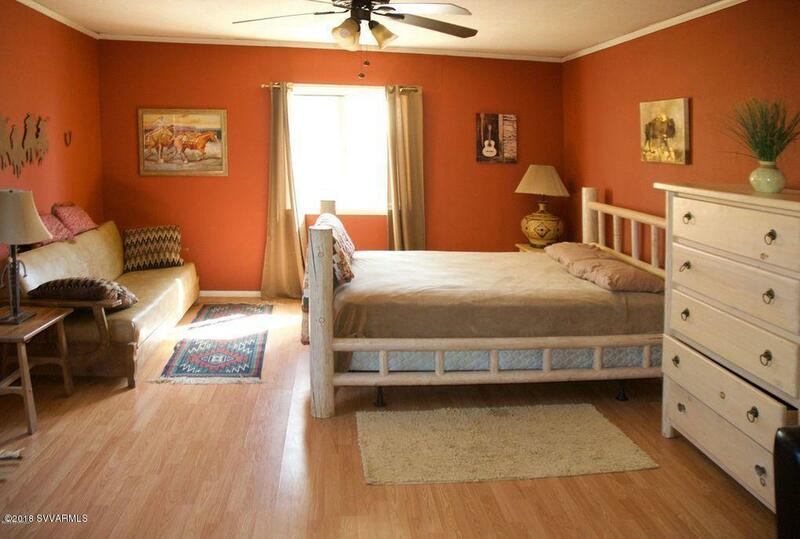 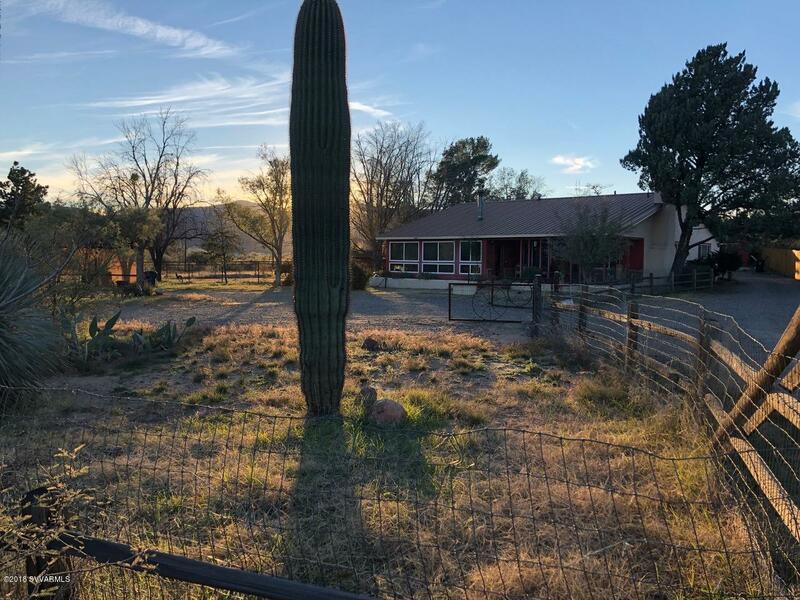 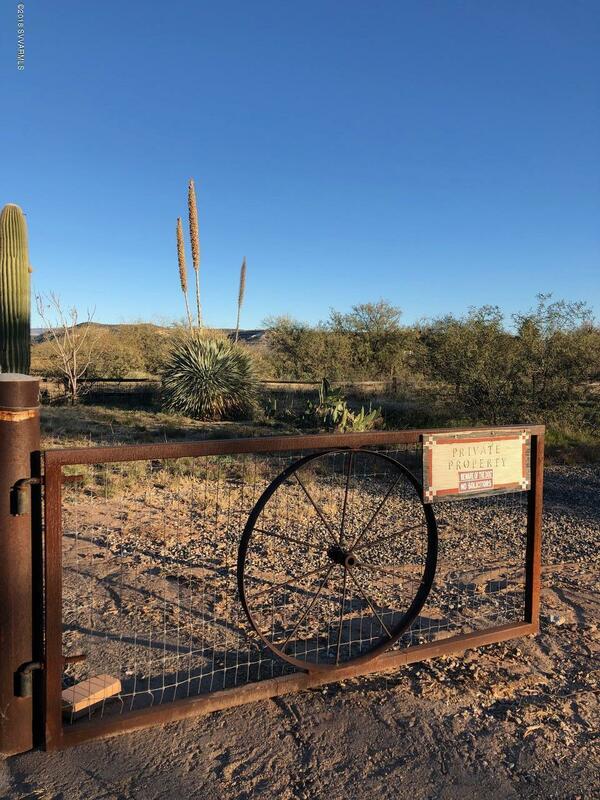 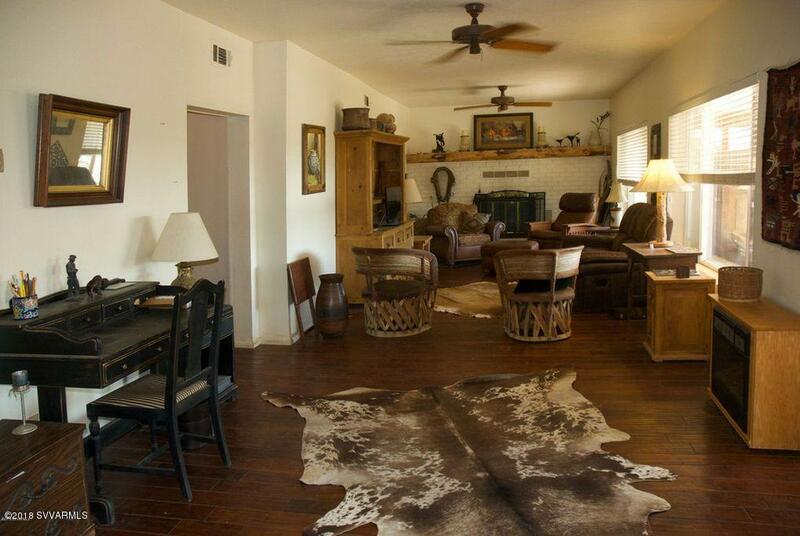 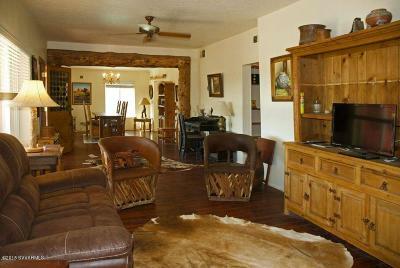 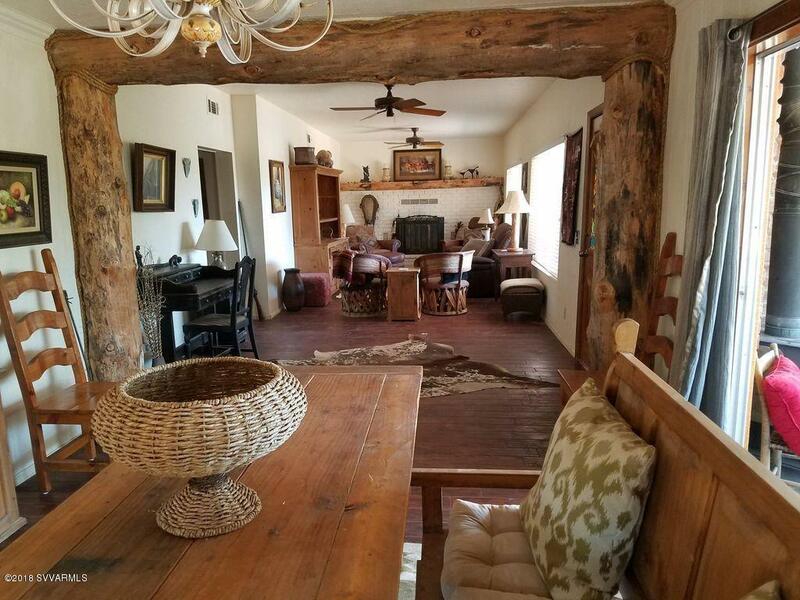 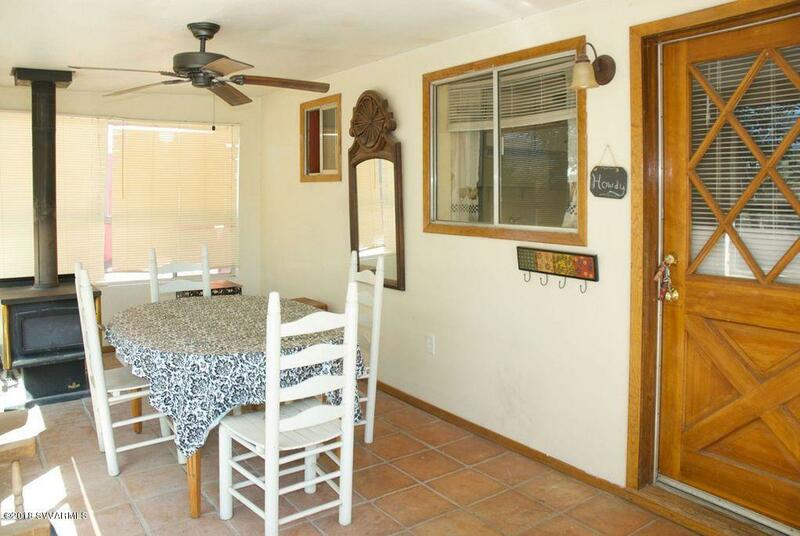 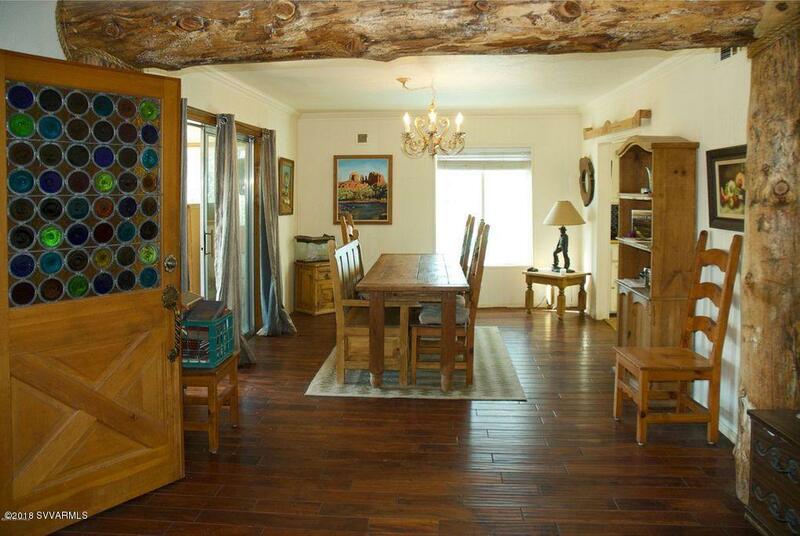 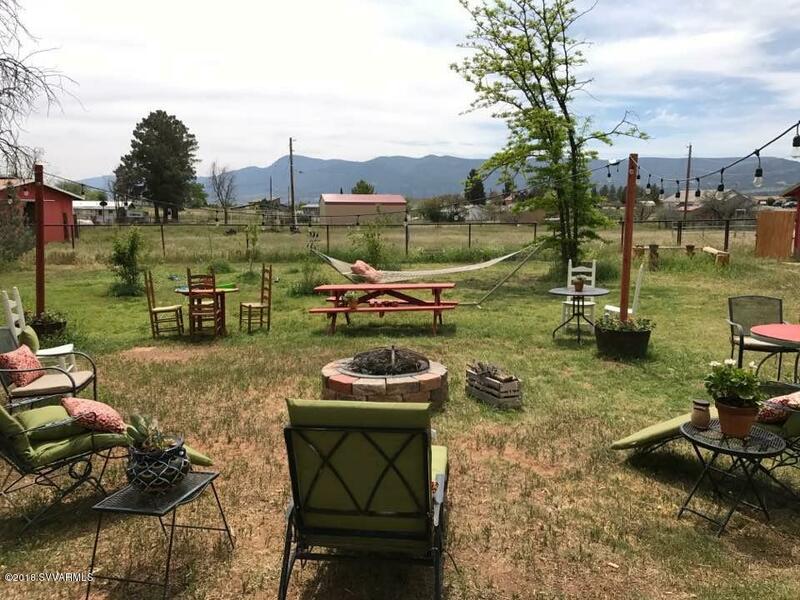 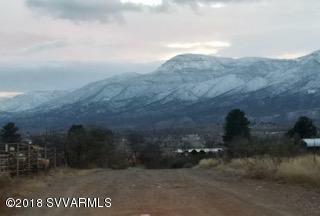 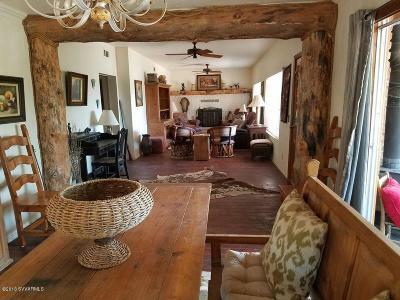 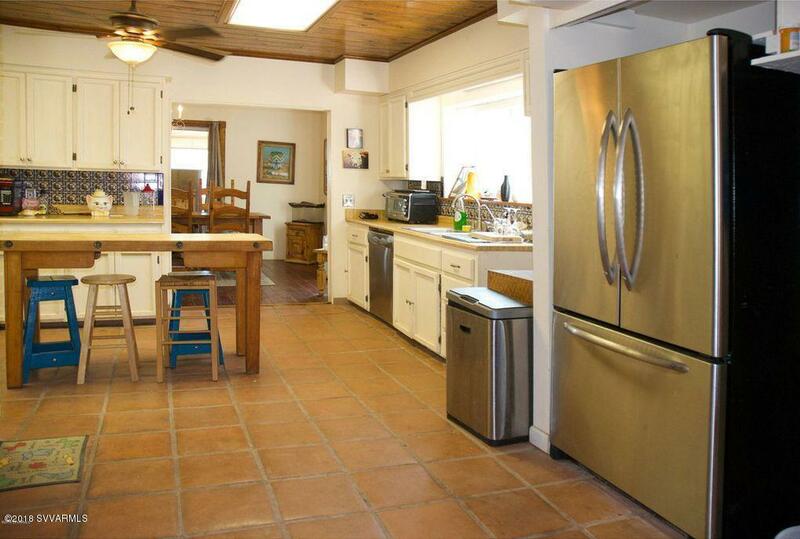 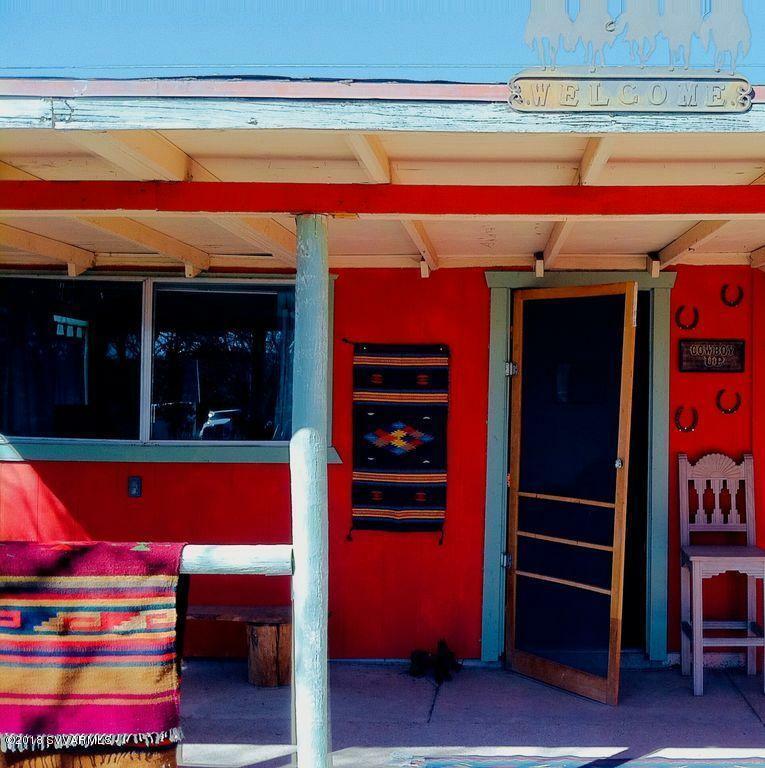 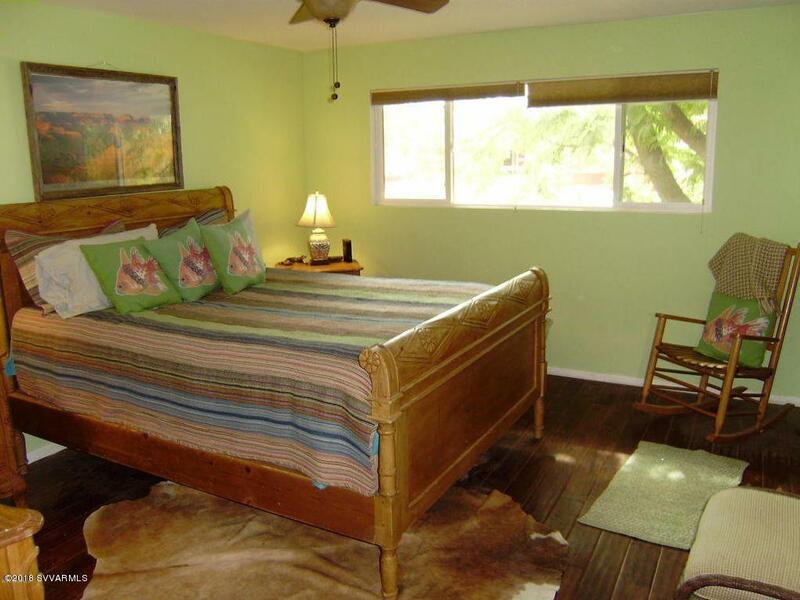 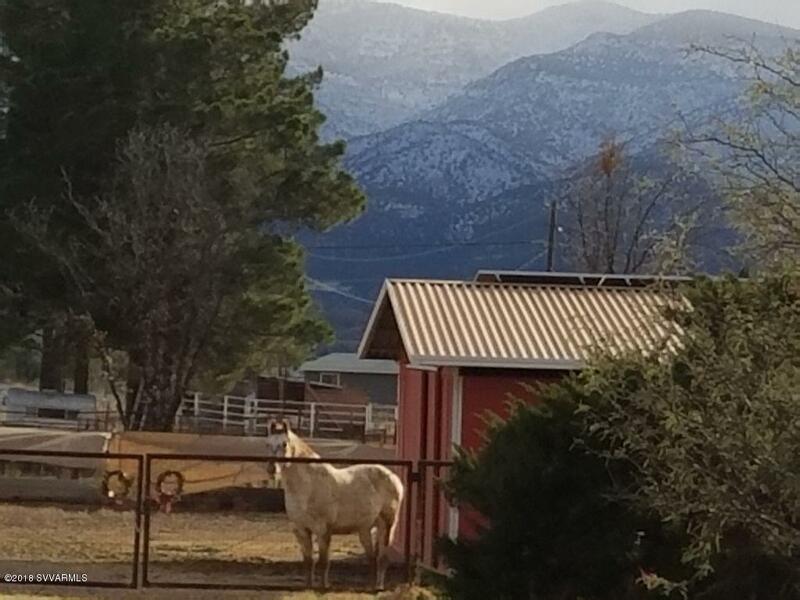 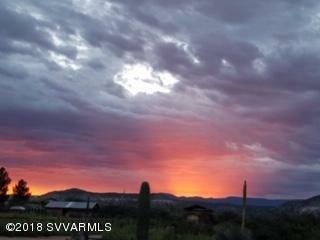 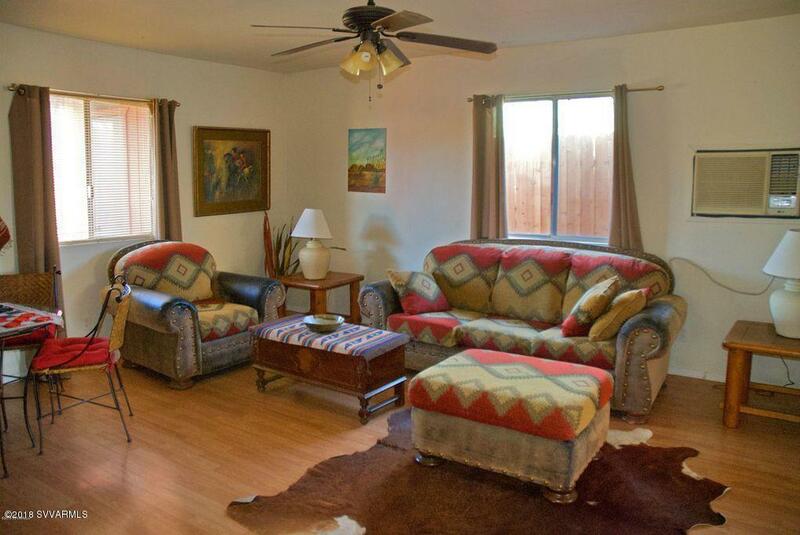 3 UNIQUE HOMES w/western charm on the old rodeo grounds just 1 mile off I-17 and close to schools nestled on a private 2.5 acres of horse property with mountain views and sunsets to be seen from your back yard! 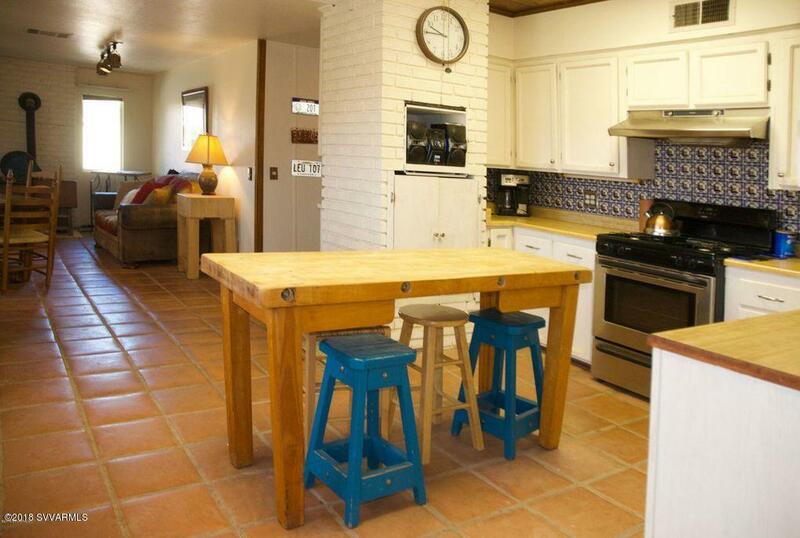 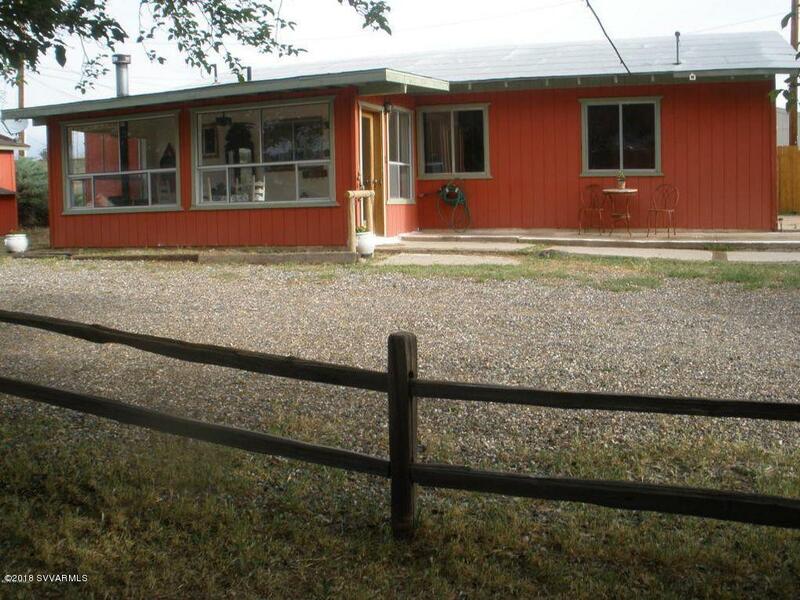 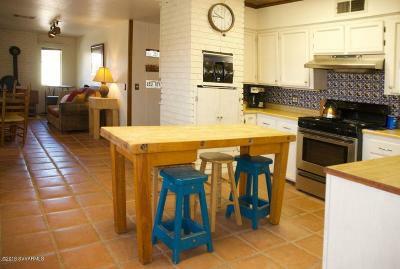 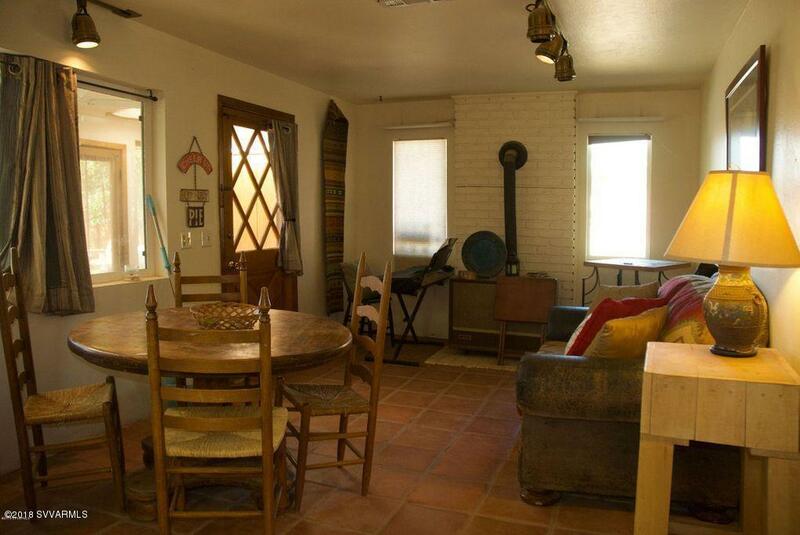 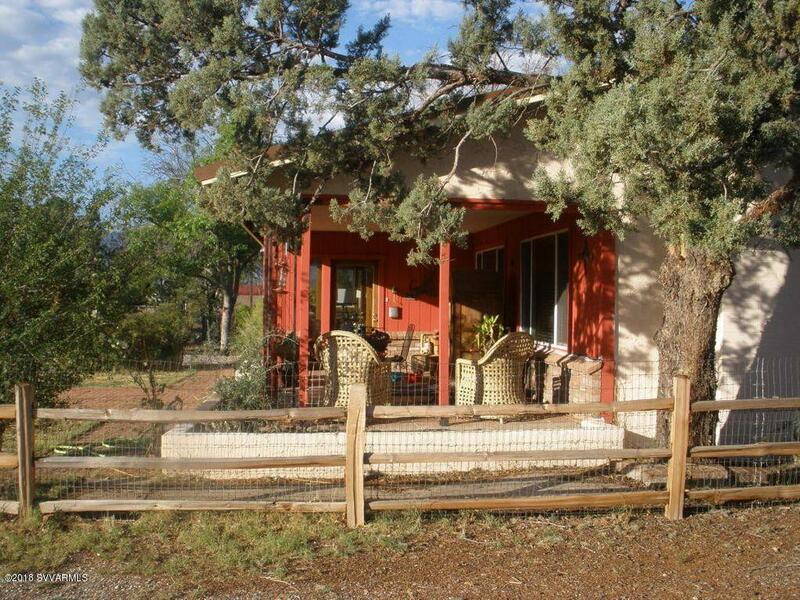 The Main home has 2 bdrms & 2 baths, metal roof and solar owned and newer windows. 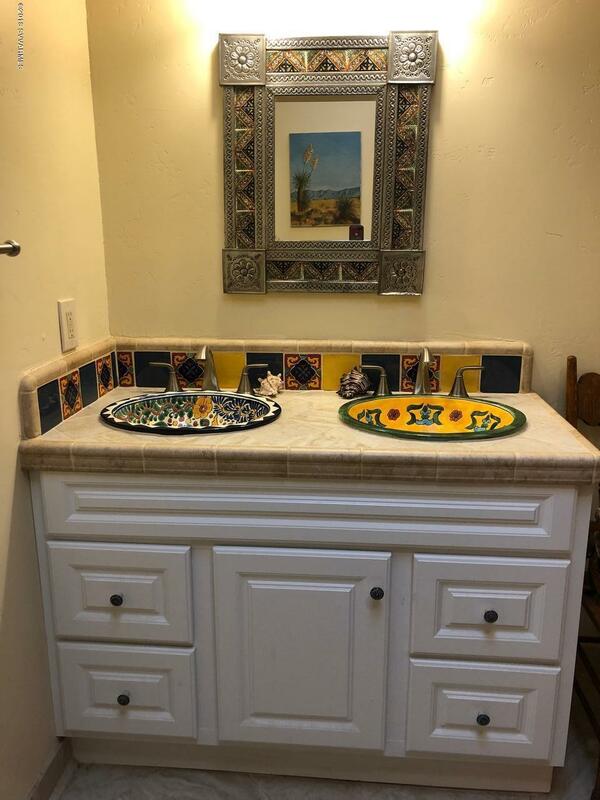 But wait there is LOTS more! 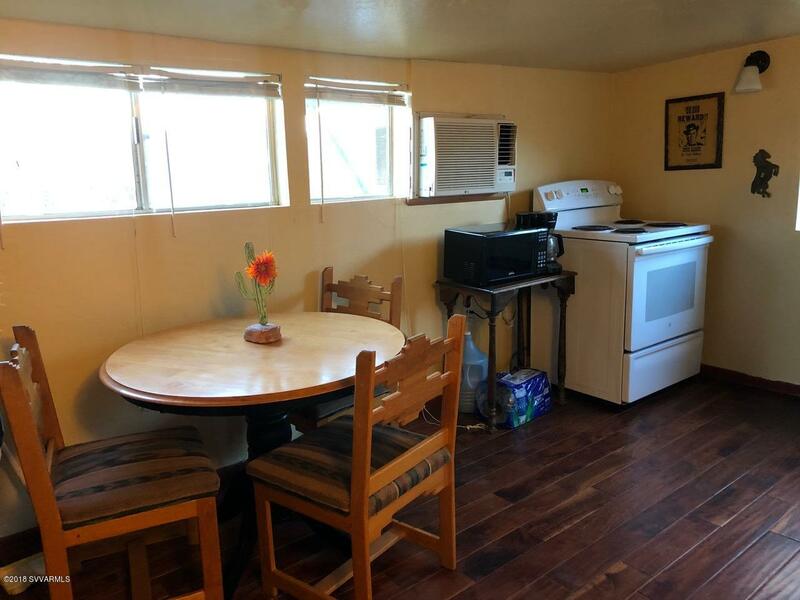 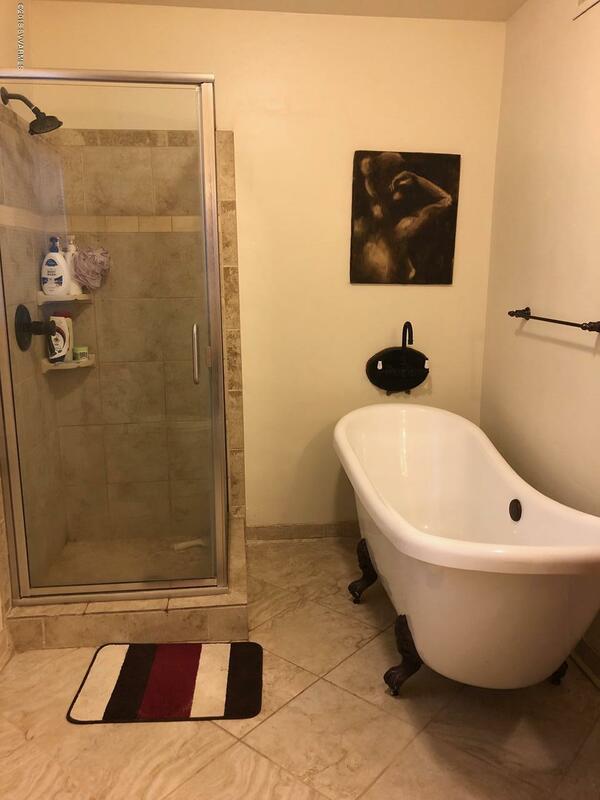 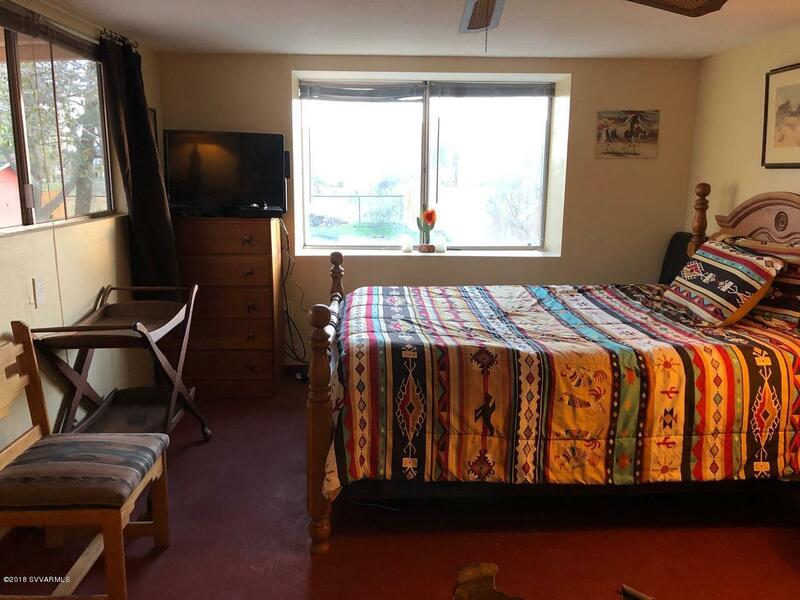 PLUS 2 units at with separate drives and entrances to the 2nd unit is 1000 sq ft w/bdrm & 1 ba w/attached garage 3rd unit is 400 sq ft w/studio bedroom. 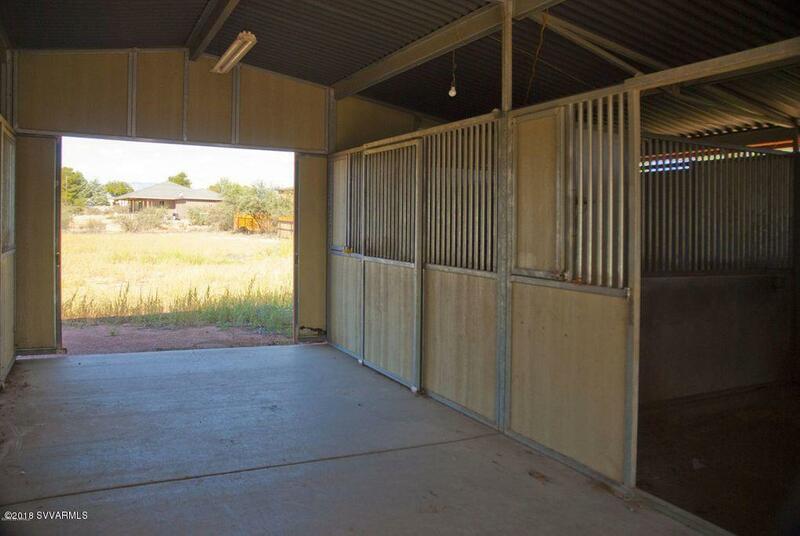 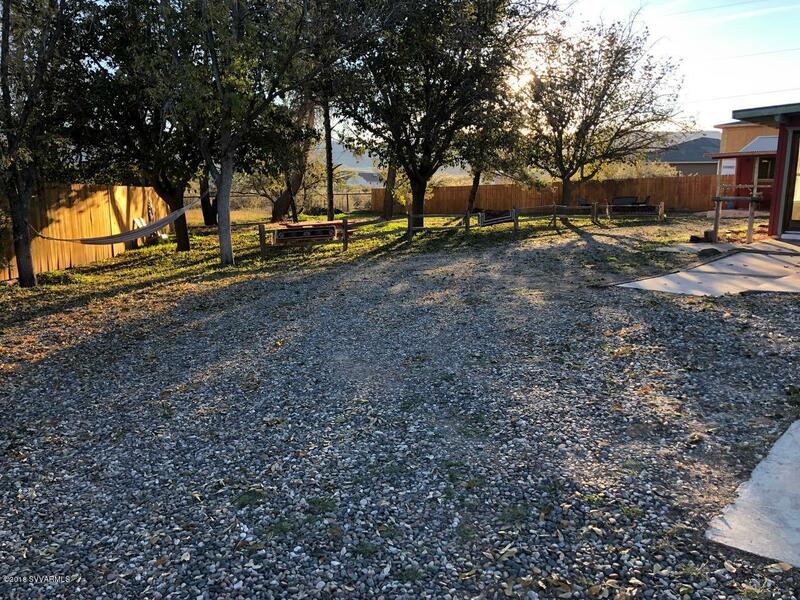 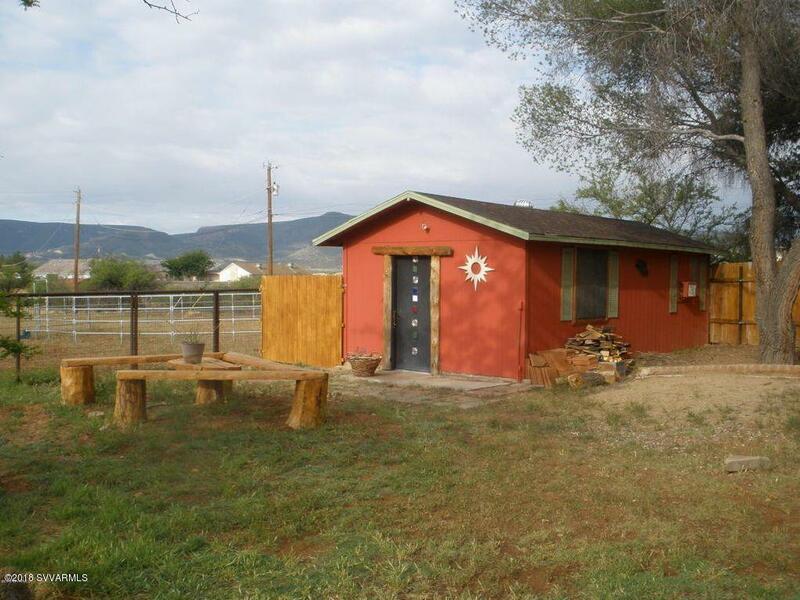 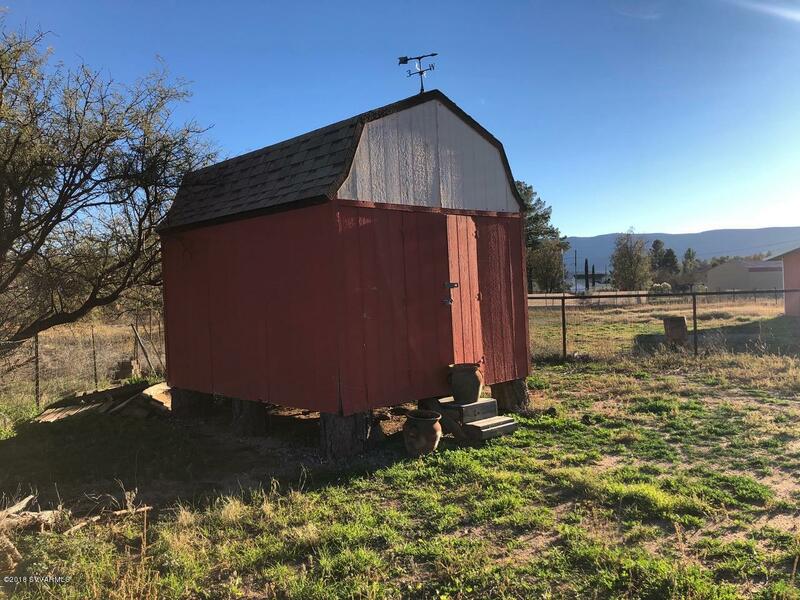 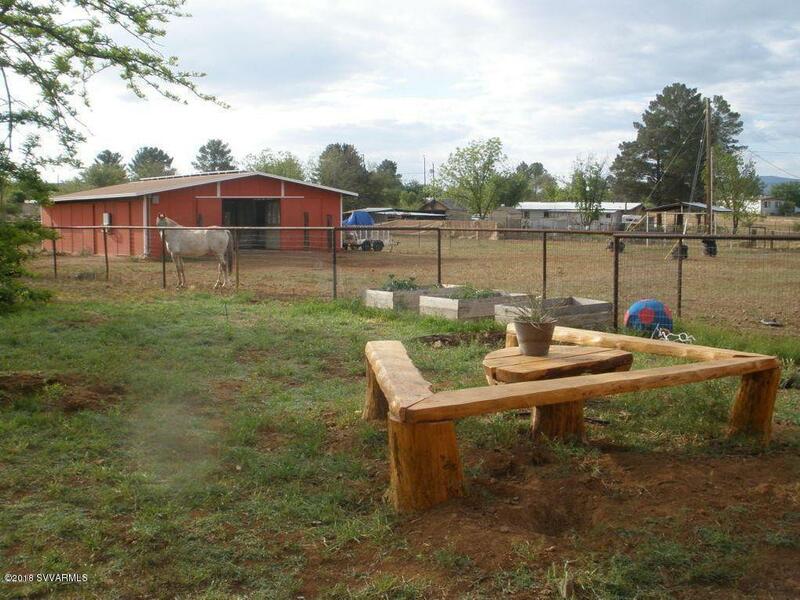 Situated on 2.5 acres a studio/workshop (can be made into a rental unit), a sep tool shed/chicken coop, a barn w/ tack room & 4 stalls, arena and fenced. 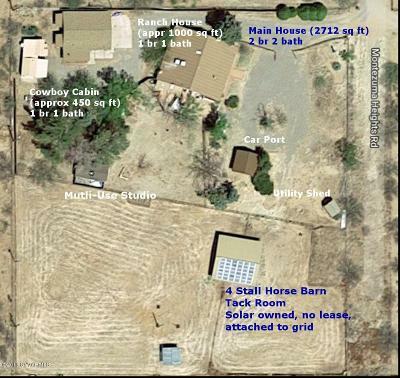 *Solar* owned for main home, barn and studio. 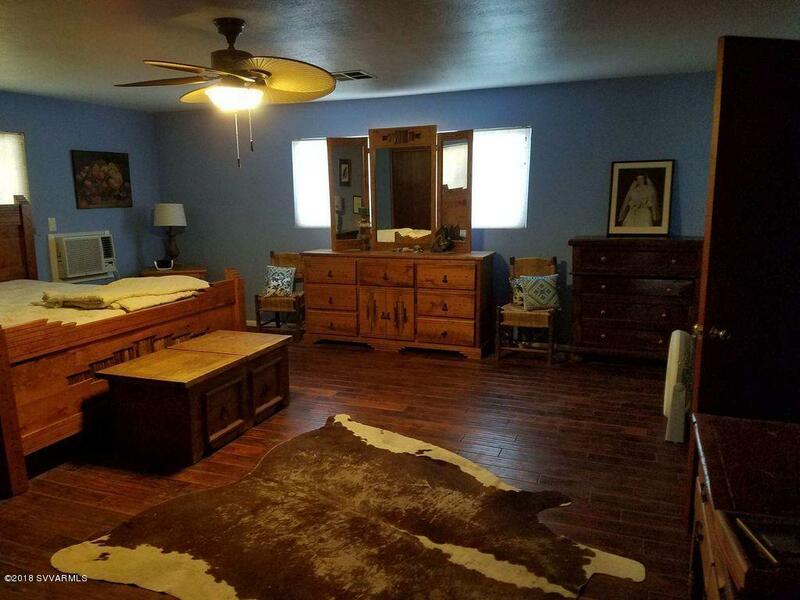 < $30 bills! 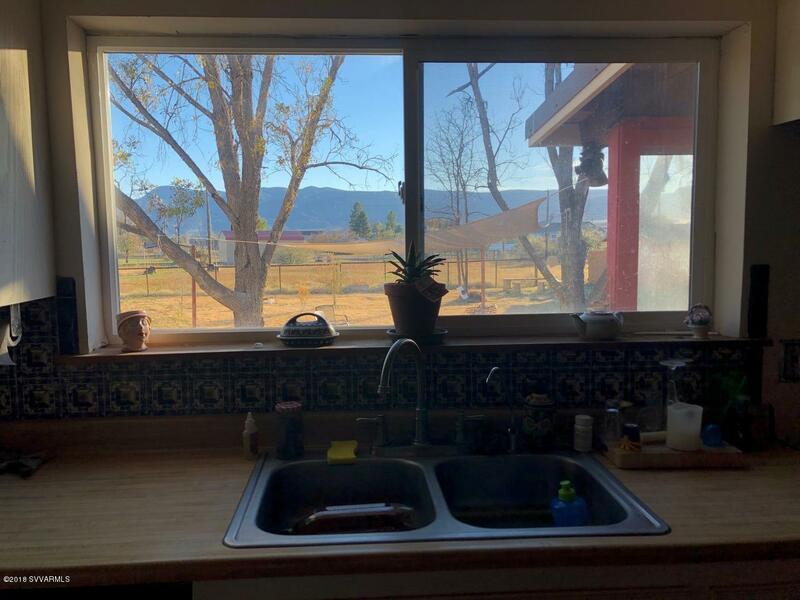 Fenced yards, gated, privacy, views, No HOA. 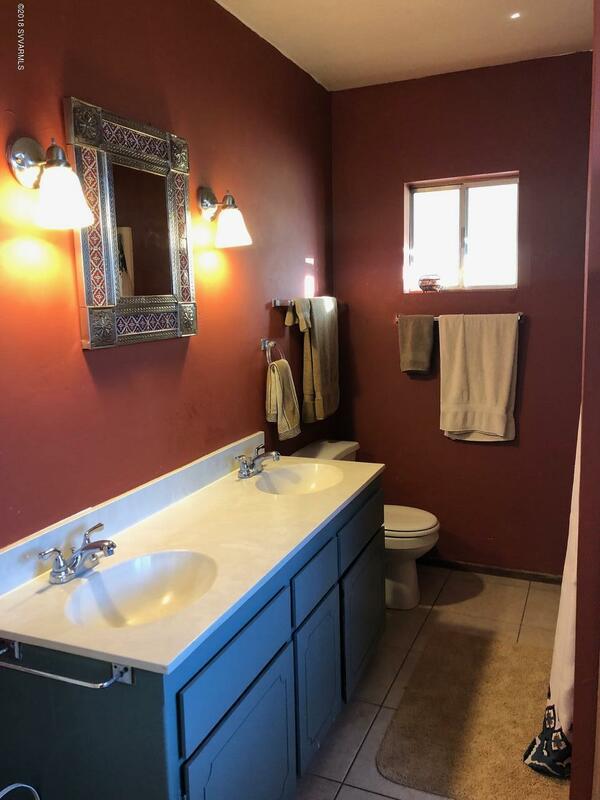 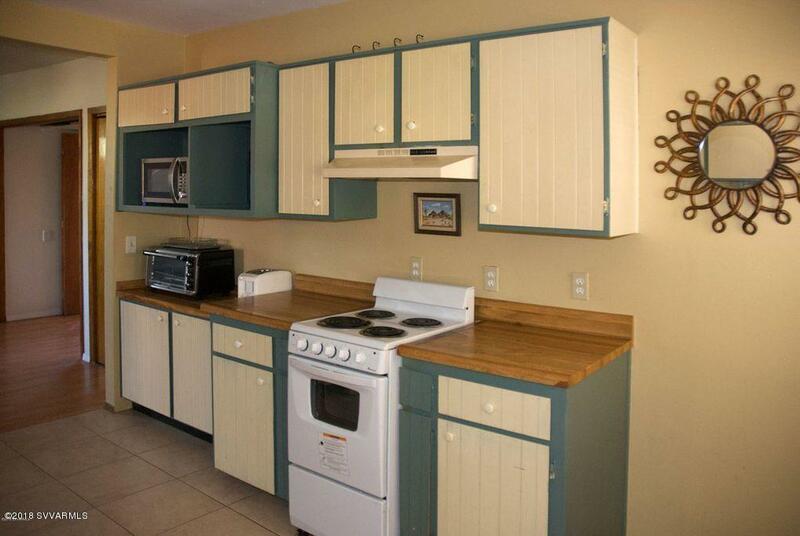 ALL APPLIANCES (3 HOMES) INCLUDED!